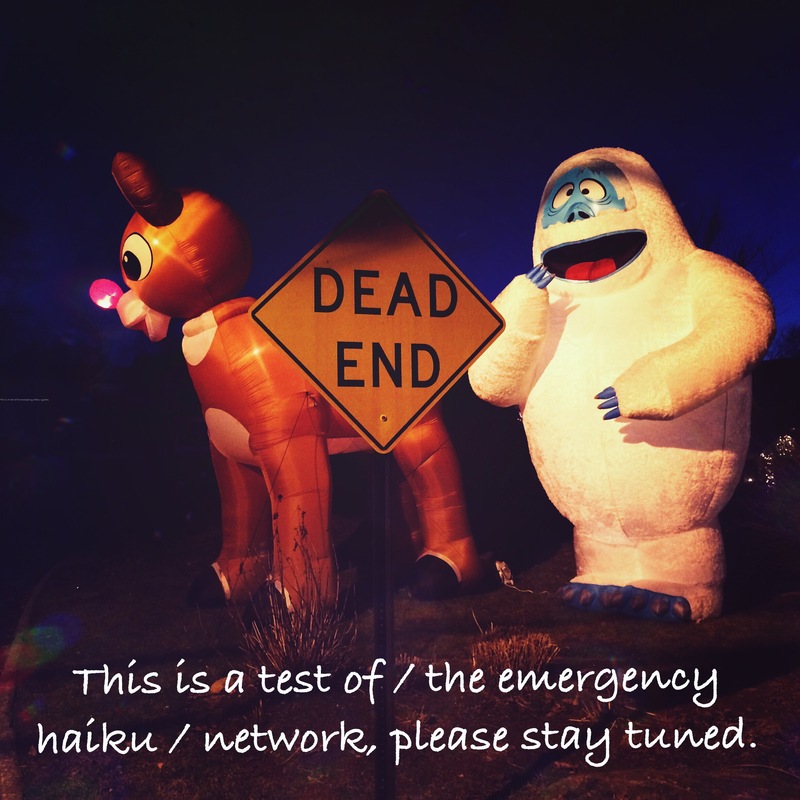 This is a test of / the emergency haiku / network, please stay tuned. 31 Dec	This entry was published on 2014/12/31 at 5:56 pm. It’s filed under Haiku and tagged emergency, Haiku, haikugrams, haikumages, network, poem, poetry, stay tuned. Bookmark the permalink. Follow any comments here with the RSS feed for this post. Older: Reminded / to feel, speak, today / thankfully. Newer: Champagne aftermath / a row of empty glasses / one glass left half full.